My original plan was to wear over the knee boots with this dress, but I tried on my grey pair with it and the proportions just seemed off. 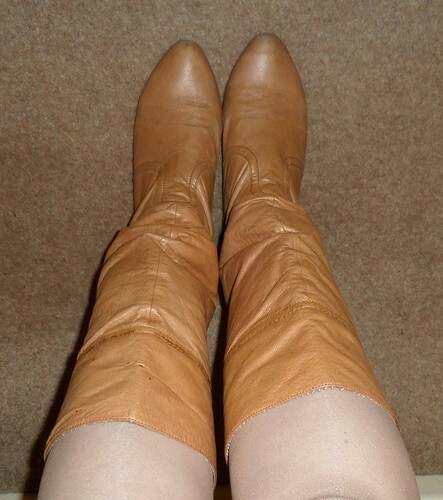 So I stuck to my tried and tested tan boots instead. 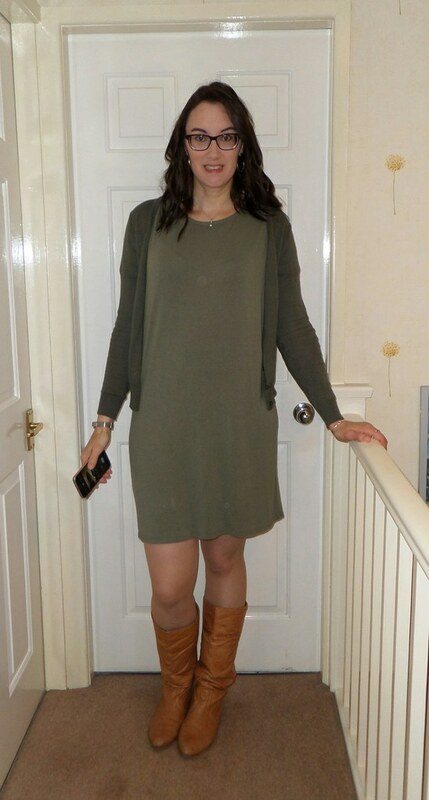 This outfit was so comfy that I kept it on all evening, not something I often do with a work look. I prefer to change into jeans when I get home but it was quite warm this day and so the lightweight dress was fine to head off to craft group in.